A lifelong resident of the Ozarks, Beth Doles has been involved in sports and exercise from a young age. This lifelong pursuit of fitness led her first to a college volleyball career and now into the fitness industry. She currently serves as a personal trainer and is working toward her ACE certification. Beth is constantly reading and studying on all emerging trends related to health, nutrition, and exercise. 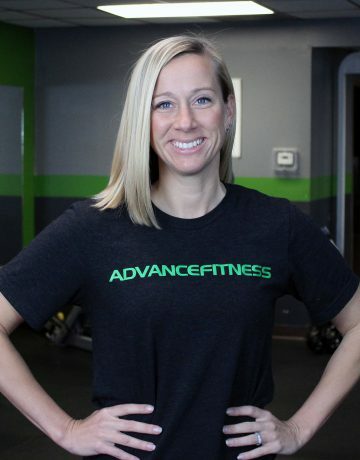 Beth and her husband Shawn are co-owners of Advance Fitness and have one son, Ryker.